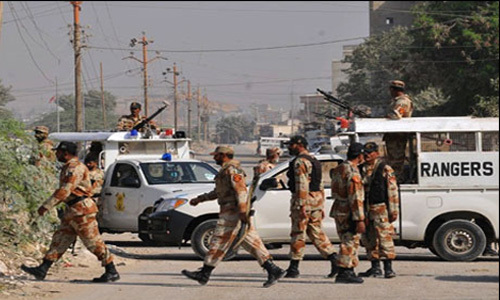 KARACHI (92 News) – An anti-terrorism court (ATC) sent criminals arrested from Muttahida Qaumi Movement (MQM) headquarters Nine-Zero Ubaid alias K2, Naeem Siddique and three others Rana Shahid, Muhammad Khan Chachar and Kamran Abbasi on a 90-day remand into Rangers custody on Saturday. The criminals pleaded for mercy during the hearing however, the court granted custody of all criminals to Rangers for as many as 90 days. Meanwhile, reports suggest that the female political leader is all set to flea the country. However, intelligence agencies have kept eyes on all people wanted for corruption and other crimes, in a bid to stop them from leaving the country.